This is not without good reason, I think. In bringing the animals to Adam to see what labels he would put on them, God dignified both, granting the man authority and the animals identity. It was also an immensely practical thing to do. Imagine the complexity of having to forever refer to “that big leathery thing with tusks and a hose for a nose” or “the small furry black thing that lives in my house that is not the same as the slightly larger small furry black thing”. You can see why we have taken to labeling things like fish to water. It simplifies life. Well, not really. It’s quite a bit more complicated than that, but sorting such things out takes time, and writers have deadlines to worry about. As it turns out, what my Internet friend rejects is the idea of the Trinity as defined in the Constantinian Creed of 381 AD, which is not at all the same as rejecting the Trinity. He prefers the original Nicene formulation of 325 AD (a comparison of the two can be viewed here). Both versions are Trinitarian in the sense that they mention Father, Son and Holy Spirit. Neither is, on its face, “heretical”, though there may be reasons to prefer one over the other. Thus the quick-and-easy label “heretic” is inadequate, and to the extent it is inadequate, it is also incorrect. I have never liked creeds and have never publicly subscribed to one. Perhaps in some schools of thought that makes me heretical too. But I prefer to cling to the words of scripture as written in their original contexts, which I try to resort to as often as I see the potential for confusion. That’s not simple or quick, but I think it’s necessary. Naming or labeling things is helpful and efficient only when we are in exact agreement about the shorthand we are using. 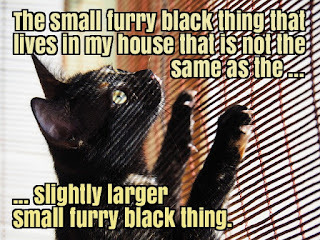 The moment we are not, we are compelled to start talking again about “small furry black things that live in my house that are not the same as slightly larger small furry black things” until we can come to some sort of consensus about what we both mean. For instance, any creedal formulation that declares Christ to be “equal with the Father” fails to effectively convey what the Bible says about that relationship unless and until we can agree upon a definition of the label “equal”. The word “equal” is adjectival; it requires a noun to modify. So we can speak intelligently of splitting the pie into “equal” pieces, or of running “equal” distances, or of all things being “equal” because we are working with nouns that limit the scope of the adjective. But despite all our insistence that “equality” is somehow a desirable end, until we understand what it is intended to modify the word is essentially meaningless. We must ask, “Equal in what sense?” If you answer, “Equal in intrinsic value,” we can probably agree, whereas if you respond, “Equal in authority at every time and place,” I may not. The same problem arises (and arises very frequently these days) whenever we talk about the equality of men and women. We charge into debate without defining our terms. So third-wave feminists call for “equality”, meaning something akin to a generalized superiority, while their milder and less-informed sisters may use exactly the same word to mean something like “comparable pay for a comparable work product”, a concept with which few actually disagree. Further, though they believe very different things about the relationship between the sexes, both groups accept the label “feminist”. We can quickly see that both the concept of equality and the word “feminism” are too mushy and soft around the edges to be useful without asking some other questions first. Both labels are inadequate. That’s an interesting statistic, and I can’t help but notice that the purpose of many of these questions was to make his audience reassess the meanings of the labels they were using. In fact, if you look carefully at the accounts from which these questions come, you’ll see that getting his audience to correctly understand the words they were using was far more important to the Lord than actually giving them direct answers to their questions or even continuing the original conversation. He understood that until his listeners agreed with him about the basic meaning of the identifiers they used to describe spiritual concepts, no further discussion was profitable. Our society rarely pauses to give due consideration to the labels it uses. 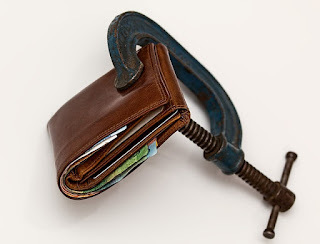 The Christian cannot afford not to.